Our mission is to raise awareness, promote education, and seek justice by working with Federal, State, and Local Officials, bringing about change with regards to Law Enforcement PTSD resulting in Officer Involved Domestic Violence/Sexual Abuse (LEOIDV/SA), while assisting in the restoration of those affected by the misuse, at the hands of those sworn to protect and serve. 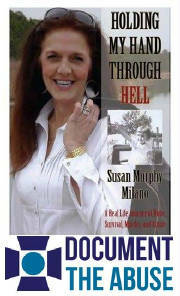 "After watching the documentary, 'Searching For Angela Shelton', I went home and Googled my legal last name. What I found was no coincidence. We once shared a name and story that was the same. However, my voice made it through while their's were silenced. I now choose to speak up for those who can't. Having been married to two Law Enforcement Officers(LEO), my perspective is unique as I continue to hold the utmost respect, for those in uniform. For those who have survived and are strong enough to overcome, it is not about how we died that will be remembered, but how we chose to live. And, it is not about our story, but what we do because of it. May God continue to bless, protect & strengthen us all, and bring peace into the lives of those still suffering in silence." 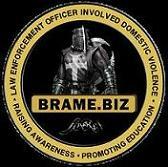 "BRAME TRAGEDY SPURS FEDERAL DOMESTIC VIOLENCE PROGRAM"
The tragic case of a Tacoma woman murdered by her Police Chief husband, was the impetus behind a ground-breaking domestic violence grant program that was approved by the Senate and House, in December 2005. It's the first time the federal government specifically has addressed the sensitive issue of domestic violence committed by law-enforcement officials.